1 1 Now there were in the church at Antioch prophets and teachers: Barnabas, Symeon who was called Niger, Lucius of Cyrene, Manaen who was a close friend of Herod the tetrarch, and Saul. 3 Then, completing their fasting and prayer, they laid hands on them and sent them off. 4 2 So they, sent forth by the holy Spirit, went down to Seleucia and from there sailed to Cyprus. 5 When they arrived in Salamis, they proclaimed the word of God in the Jewish synagogues. They had John 3 also as their assistant. 7 He was with the proconsul Sergius Paulus, a man of intelligence, who had summoned Barnabas and Saul and wanted to hear the word of God. 8 But Elymas the magician (for that is what his name means) opposed them in an attempt to turn the proconsul away from the faith. 10 and said, “You son of the devil, you enemy of all that is right, full of every sort of deceit and fraud. Will you not stop twisting the straight paths of (the) Lord? 11 Even now the hand of the Lord is upon you. You will be blind, and unable to see the sun for a time.” Immediately a dark mist fell upon him, and he went about seeking people to lead him by the hand. 12 When the proconsul saw what had happened, he came to believe, for he was astonished by the teaching about the Lord. 13 From Paphos, Paul and his companions set sail and arrived at Perga in Pamphylia. But John left them and returned to Jerusalem. 14 They continued on from Perga and reached Antioch in Pisidia. On the sabbath they entered (into) the synagogue and took their seats. 16 6 So Paul got up, motioned with his hand, and said, “Fellow Israelites and you others who are God-fearing, 7 listen. 18 and for about forty years he put up with 8 them in the desert. 20 at the end of about four hundred and fifty years. 9 After these things he provided judges up to Samuel (the) prophet. 21 Then they asked for a king. God gave them Saul, son of Kish, a man from the tribe of Benjamin, for forty years. 23 From this man’s descendants God, according to his promise, has brought to Israel a savior, Jesus. 26 “My brothers, children of the family of Abraham, and those others among you who are God-fearing, to us this word of salvation has been sent. 27 The inhabitants of Jerusalem and their leaders failed to recognize him, and by condemning him they fulfilled the oracles of the prophets that are read sabbath after sabbath. 29 and when they had accomplished all that was written about him, they took him down from the tree and placed him in a tomb. 36 Now David, after he had served the will of God in his lifetime, fell asleep, was gathered to his ancestors, and did see corruption. 37 But the one whom God raised up did not see corruption. 39 in him every believer is justified. 42 As they were leaving, they invited them to speak on these subjects the following sabbath. 43 After the congregation had dispersed, many Jews and worshipers who were converts to Judaism followed Paul and Barnabas, who spoke to them and urged them to remain faithful to the grace of God. 44 On the following sabbath almost the whole city gathered to hear the word of the Lord. 45 When the Jews saw the crowds, they were filled with jealousy and with violent abuse contradicted what Paul said. 49 and the word of the Lord continued to spread through the whole region. 50 The Jews, however, incited the women of prominence who were worshipers and the leading men of the city, stirred up a persecution against Paul and Barnabas, and expelled them from their territory. 1 [1-3] The impulse for the first missionary effort in Asia Minor is ascribed to the prophets of the Antiochene community, under the inspiration of the holy Spirit. Just as the Jerusalem community had earlier been the center of missionary activity, so too Antioch becomes the center from which the missionaries Barnabas and Saul are sent out. 2 [⇒ 13:4-⇒ 14:27] The key event in Luke’s account of the first missionary journey is the experience of Paul and Barnabas at Pisidian Antioch (⇒ Acts 13:14-52). The Christian kerygma proclaimed by Paul in the synagogue was favorably received. Some Jews and “God-fearers” (see the note on ⇒ Acts 8:26-40) became interested and invited the missionaries to speak again on the following sabbath (⇒ Acts 13:42). By that time, however, the appearance of a large number of Gentiles from the city had so disconcerted the Jews that they became hostile toward the apostles (⇒ Acts 13:44-50). This hostility of theirs appears in all three accounts of Paul’s missionary journeys in Acts, the Jews of Iconium (⇒ Acts 14:1-2) and Beroea (⇒ Acts 17:11) being notable exceptions. 3  John: that is, John Mark (see ⇒ Acts 12:12, ⇒ 25). 4  A magician named Bar-Jesus who was a Jewish false prophet: that is, he posed as a prophet. Again Luke takes the opportunity to dissociate Christianity from the magical acts of the time (⇒ Acts 13:7-11); see also ⇒ Acts 8:18-24. 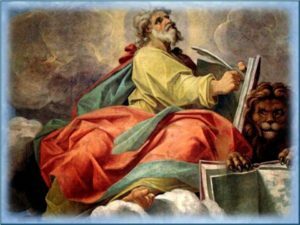 5  Saul, also known as Paul: there is no reason to believe that his name was changed from Saul to Paul upon his conversion. The use of a double name, one Semitic (Saul), the other Greco-Roman (Paul), is well attested (cf ⇒ Acts 1:23 Joseph Justus; ⇒ Acts 12:12, ⇒ 25, John Mark). 6 [16-41] This is the first of several speeches of Paul to Jews proclaiming that the Christian church is the logical development of Pharisaic Judaism (see also ⇒ Acts 24:10-21; ⇒ 26:2-23). 7  Who are God-fearing: see the note on ⇒ Acts 8:26-40. 10  The theme of the Galilean witnesses is a major one in the Gospel of Luke and in Acts and is used to signify the continuity between the teachings of Jesus and the teachings of the church and to guarantee the fidelity of the church’s teachings to the words of Jesus. 12  The refusal to believe frustrates God’s plan for his chosen people; however, no adverse judgment is made here concerning their ultimate destiny. 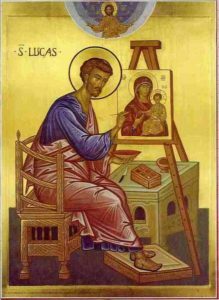 Again, Luke, in the words of Paul, speaks of the priority of Israel in the plan for salvation (see ⇒ Acts 10:36). 13  See the note on ⇒ Luke 9:5. This entry was posted in ACTS OF THE APOSTLES, Sin categoría. Bookmark the permalink.